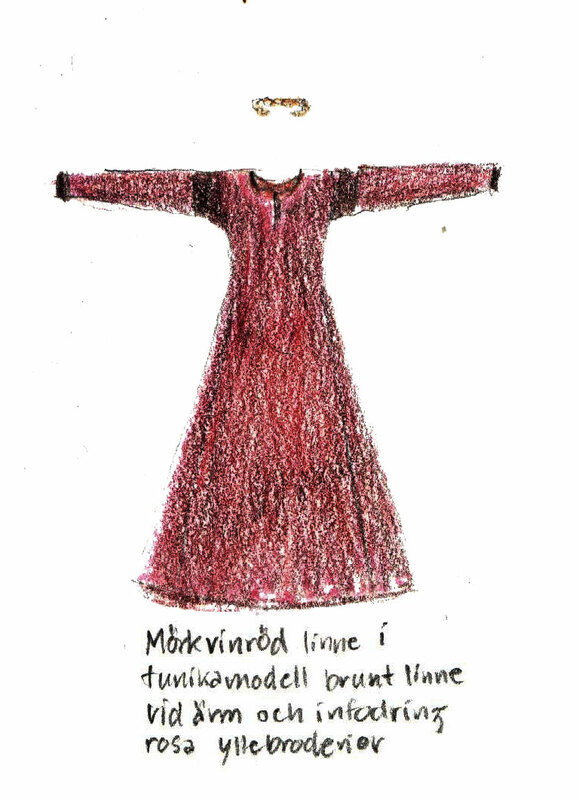 Tunic with wool embroidery around the edges. 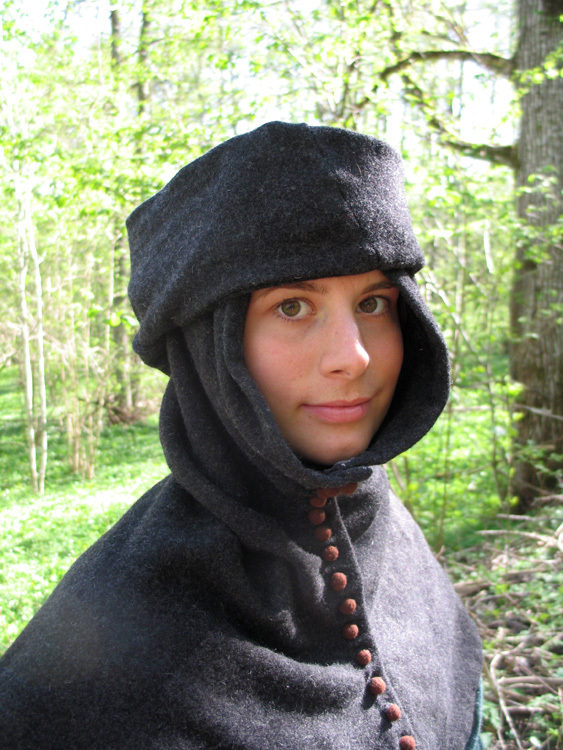 Photo by Linnea Torp, outside Visby Medieval city, Gotland, Sweden. 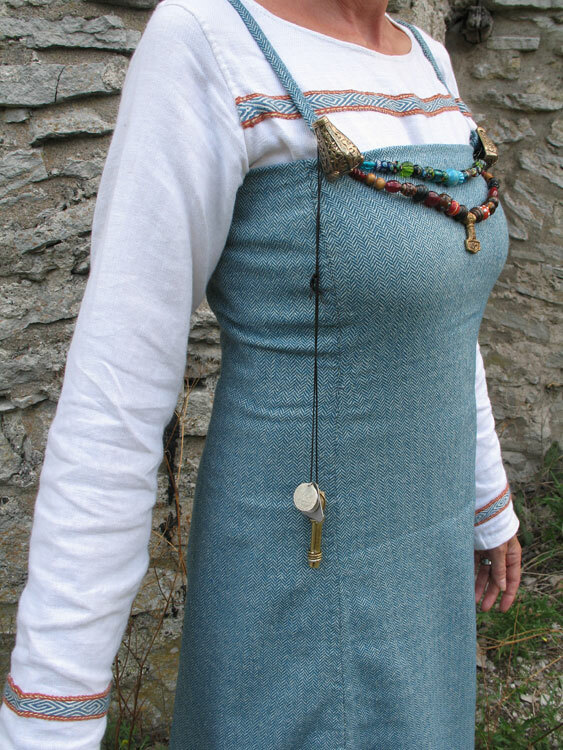 Light blue linen whith broad edgeribbons. 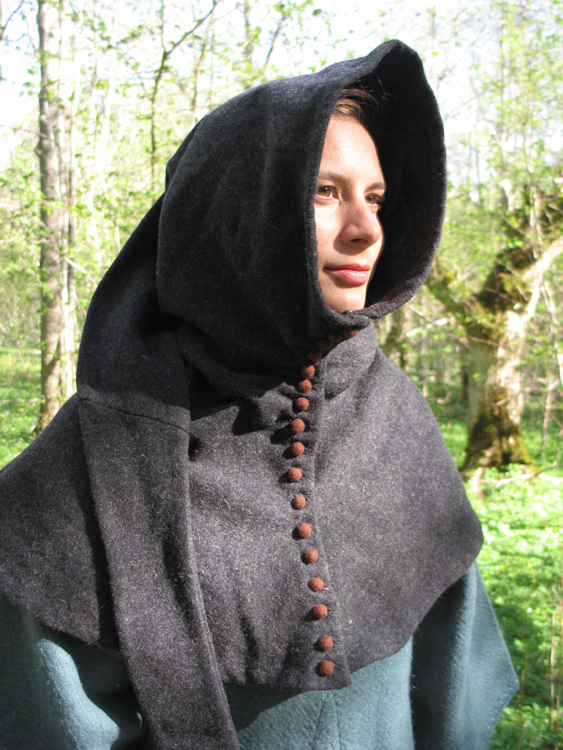 A hood and a warm wollen cloak are nice when it´s cold. 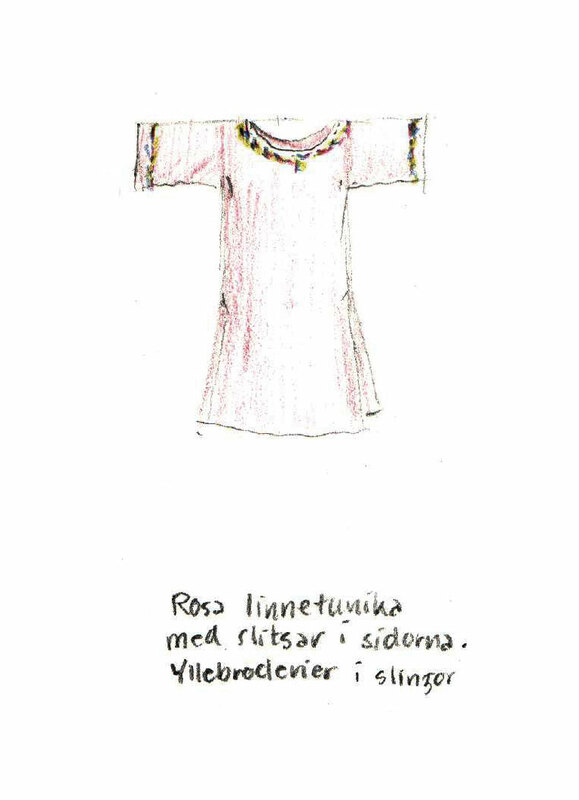 The reconstruction of an archeologic find. 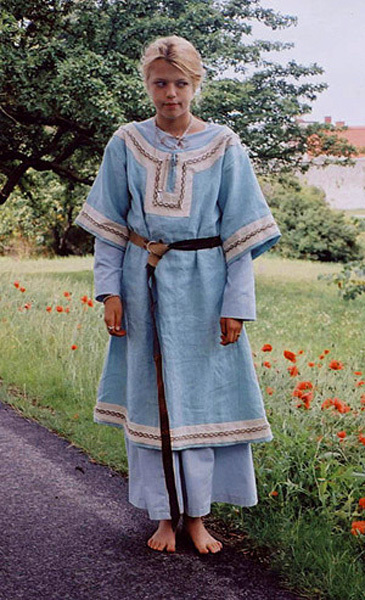 Wiking dress with a wool dress and a linen dress underneath. 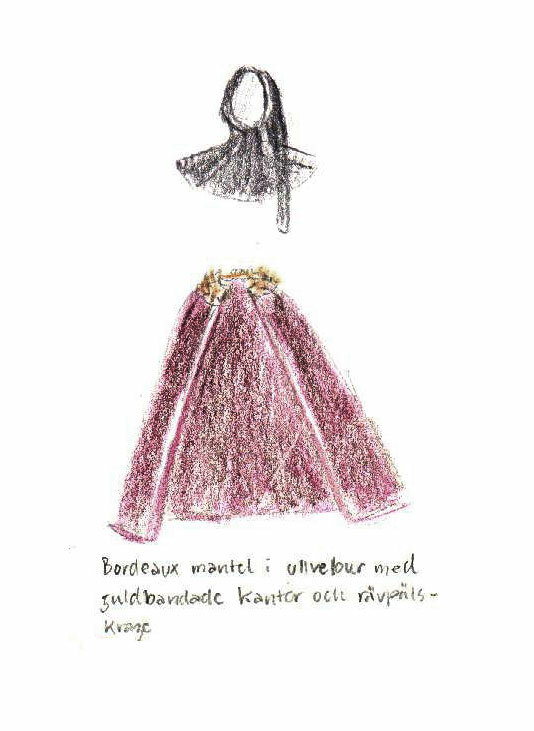 The tablettwoven ribbons are made of silk and sewed on the dress. 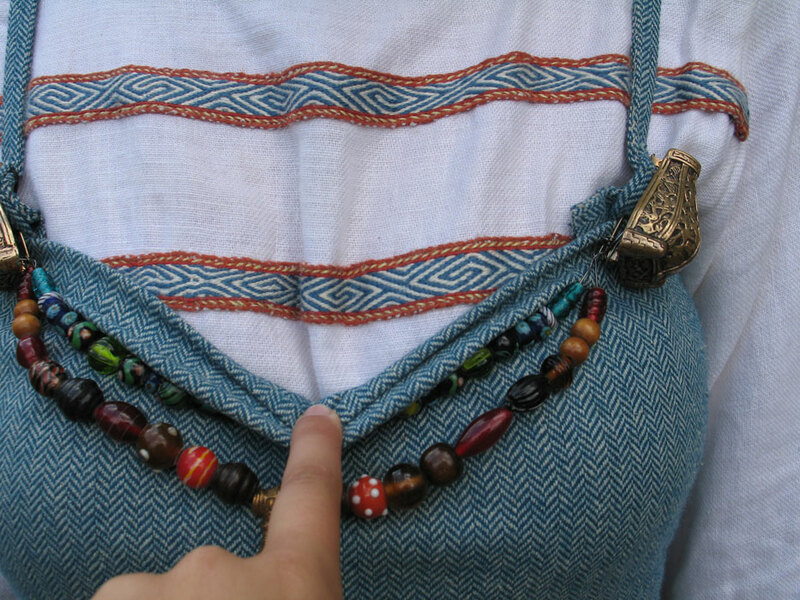 The beans and the broches are something the wealthy women carried, but maybe only at special occations. 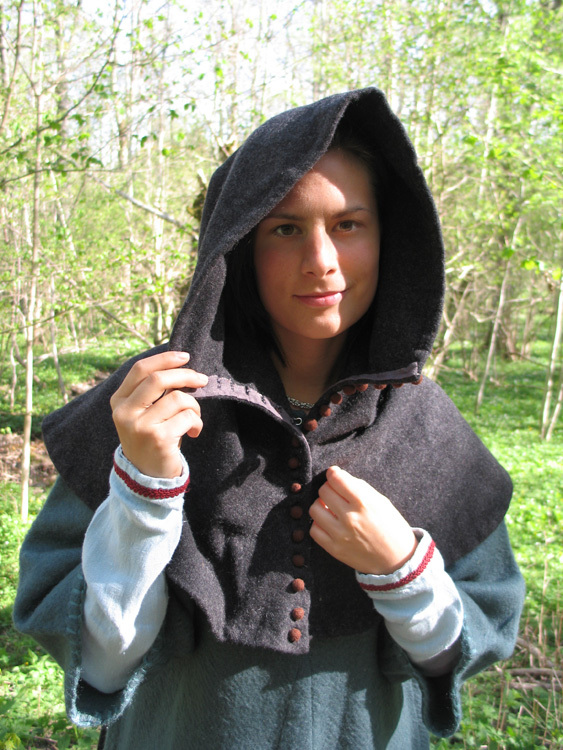 These broches are replica made from a find from Gotland, Sweden. 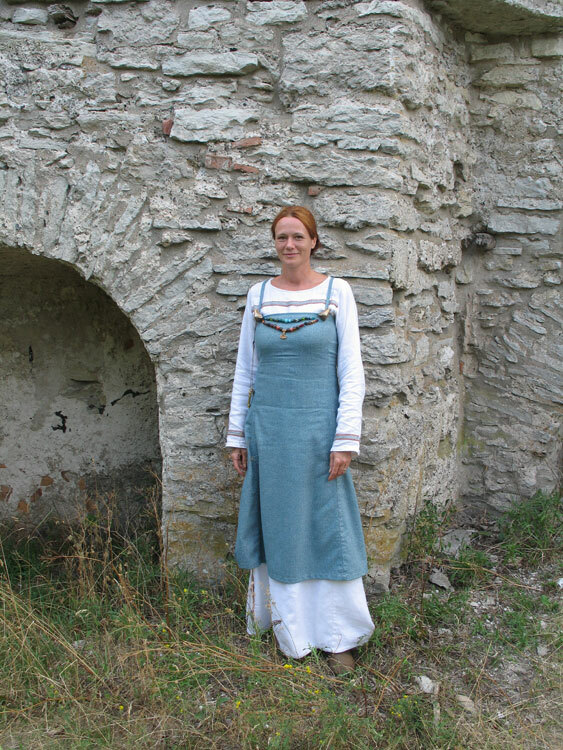 Photo by Ida Torp, in front of an old mill, Visby Medieval city, Gotland, Sweden.